Fall is definitely my season. I look forward to it all year. I love the colors, the temperatures and the tastes that fall brings. 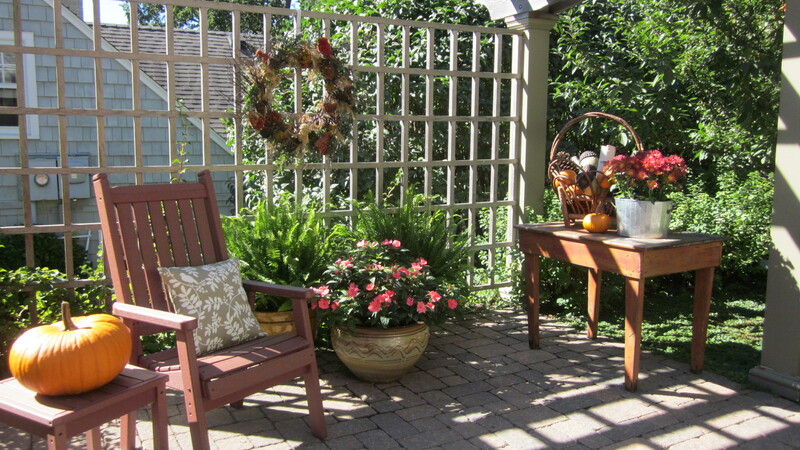 For me, it is a more relaxing season…fewer garden maintenance things on my list, cooler temperatures, the bounty of garden goodies that inspire me to spend a lot of time in the kitchen. I am always excited about the produce at the farmer’s market here in town when fresh vegetables start to appear in the summer. 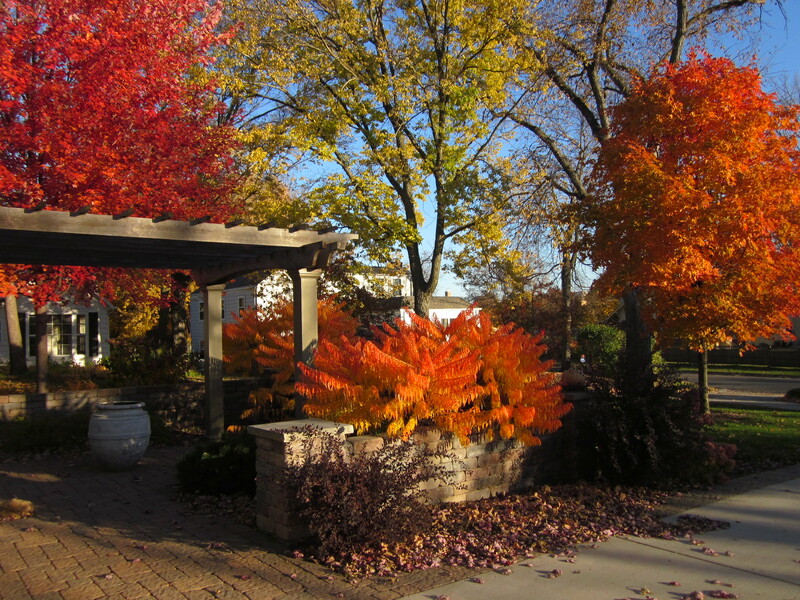 But there is nothing more glorious and inviting than the stands in the fall. That’s when the true bounty of Minnesota shines. As I write this blog, I have tomatoes roasting in the oven, squash baking and soup simmering. These are all things I wouldn’t think of doing in the heat of the summer. It does smell pretty good at my house today. 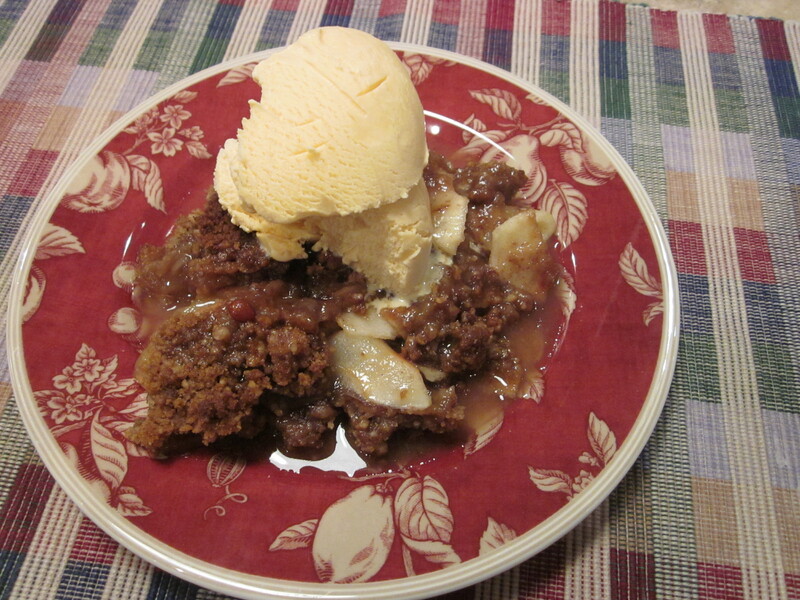 I’m about to bake our favorite Apple Crisp recipe. That will put the aromas over the top. Check out the YUM! category for my recipe. 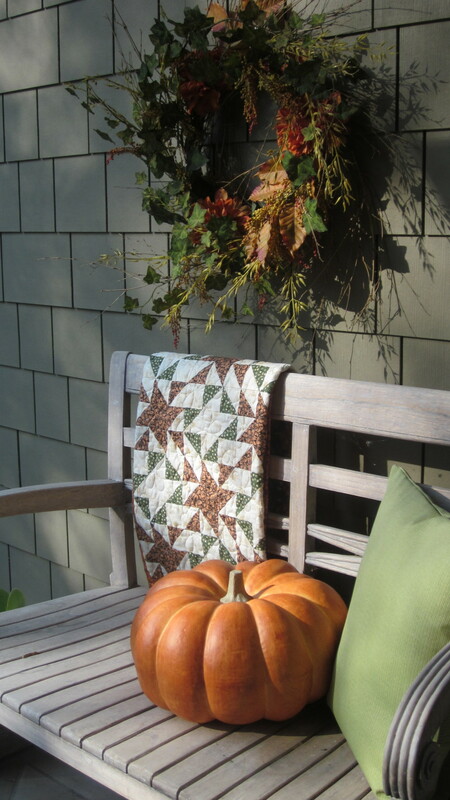 The quilt hanging on the bench is in my book Block Party, available at Laudauer Publishing. While all these yummy aromas fill the house, I plan to do some hand stitching on a quilt that has a little applique on it. It’s a perfect task for a rainy day and dinner already on its way. View theses fall inspired landscape and home dec pictures from my yard and home. 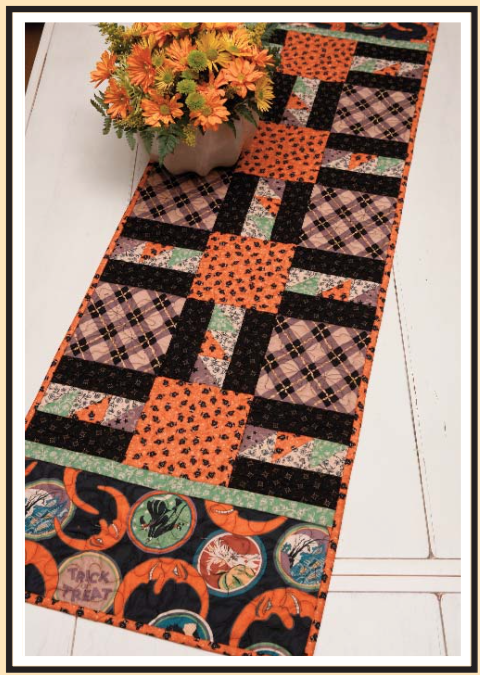 Hopefully they will inspire you to dig out your pumpkins and fall quilts for both the inside and outside of your home. 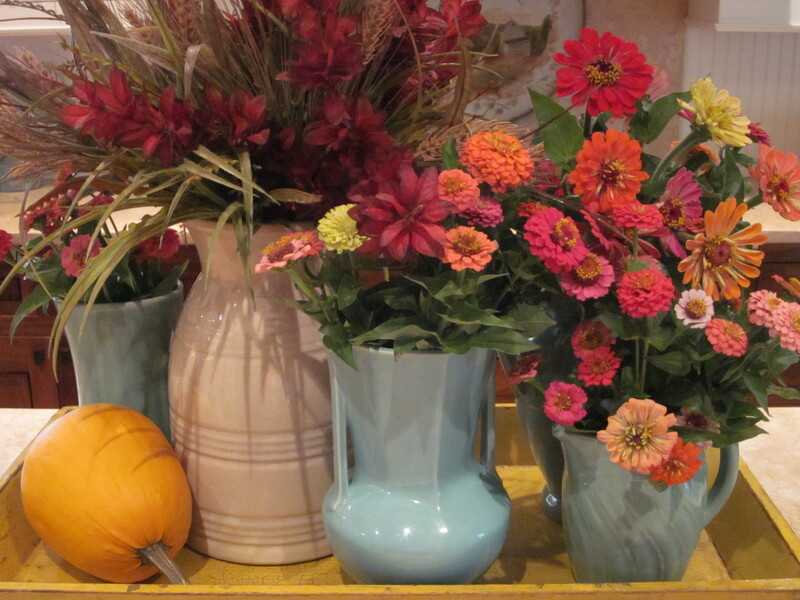 Can you tell…I do really love fall. The colors are just so warm, rich and inviting. 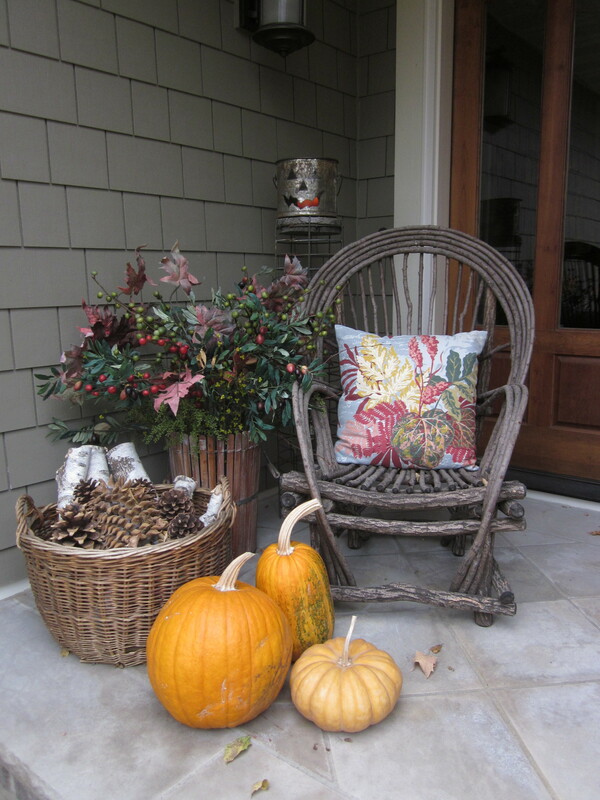 My front porch is large enough to accommodate a nice collection of fall items. I tend to change it often throughout the season. 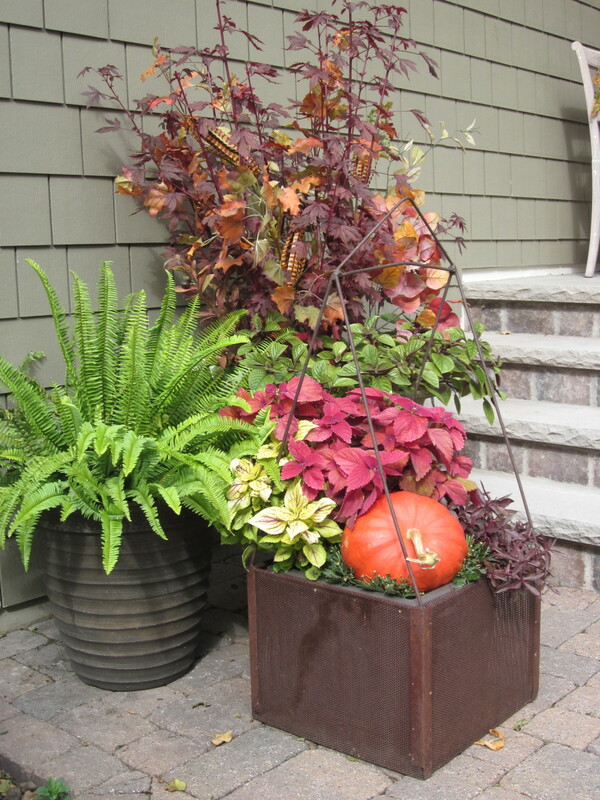 As we get closer to Halloween the accessories, both inside and out, reflect not just fall but also that fun, one day event. For a favorite Fall treat, visit YUM! 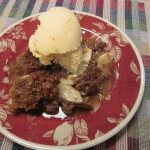 for this Apple Crisp recipe. 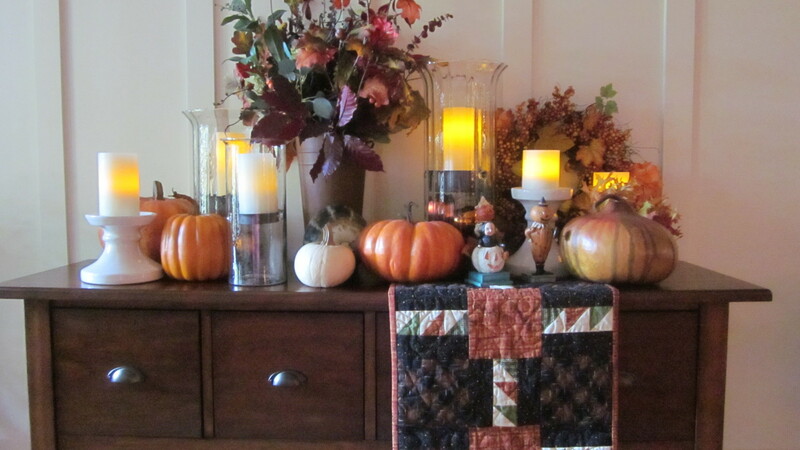 FREE PATTERN – Table Treat Runner, pictured with festive pumpkins and candles on the entryway table. 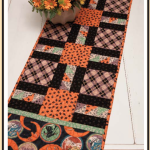 Download more FREE PATTERNS on Reminiscing. I love your decorating it is so warm and inviting. It was nice to finally get to meet you at market. Thank you so much for taking the time to talk to me and share your ideas. I really appreciate you.